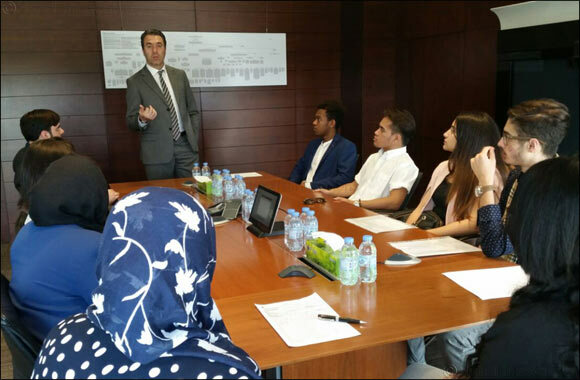 Dubai, UAE, July 29, 2018: Students from four schools and two universities in the UAE participated in the Innovation Day Camp iCamp and Job Shadow Day program hosted by INJAZ UAE and longtime partner Bank of America Merrill Lynch (BAML). The Job Shadow Days are day-long workshops which allow students to explore various career options. Students from Al Khaleej National School, Dubai National School, Al Ittihad Private School, International School of Arts & Science, American College of Dubai and Jumeirah University attended five iCamp workshops run by volunteers from BAML. The workshops introduced students to various aspects of entrepreneurship through practical activities overseen by corporate mentors. Mentors from BAML shared their experience with the students, giving them an opportunity to learn about professional skills required in the industry which also contribute towards greater economic competitiveness and growth. “The INJAZ workshop helped inform us about practical problem-solving skills necessary in the workplace and how best to provide constructive ideas within a competitive environment. We learned why teamwork is essential in a successful organisation as well as the importance of accepting and working with diverse ideas in a way that best serves the business”, added Suleiman Naushad, a student from American College of Dubai. Set up during the educational year 2017-2018, the iCamp & Job Shadow Day programs are part of a host of professional development programs offered by INJAZ UAE that aims to teach students a variety of skills needed for the workplace.